As seniors age, the muscles of the eye weaken and the eye lenses change shape. This can cause many vision issues among seniors, namely vision loss. A 2010 study conducted by researchers from the University of California Riverside showed that some eye exercises improve vision among patients over the age of 65 in just two days. These exercises help to work out the eye muscles and prevent age related vision problems. The Grand Strand home care agencies can encourage seniors to try the following exercises to boost their vision. When you switch focus it prevents eye muscles from becoming weakened due to inactivity, which happens when seniors frequently look at something the same distance away. To switch focus, the senior should look at a close up object, and then look at an object roughly 30 feet away before shifting eye focus back to the up-close object. This exercise is best done in a room with several objects. Seniors should sit comfortably and then look at each item in the room, starting on one side and slowly scanning over each item. The motion should be smooth and slow as the senior carefully focuses on each item. Encourage seniors to hold a finger in the air just at a distance from their eyes so that they have slightly double vision. Seniors should then imagine a tic-tac-toe board around their finger and slowly move the finger to each square on the board as their eyes follow their finger. Some seniors have eye problems because they rely on one eye more than the other to see. This exercise works out each individual eye so that neither becomes weak. 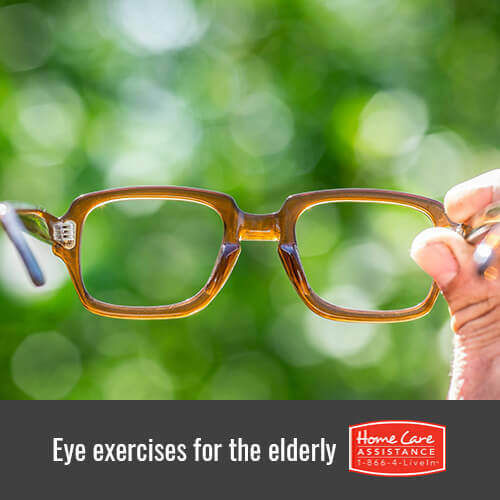 To do this exercise, have seniors cover one eye with a hand while continuously looking at different objects at varying distances. After doing this for a short amount of time, the senior can switch eyes. Learn more about these and other aspects of seniors health by calling Home Care Assistance of The Grand Strand at (843) 353-3105 today. 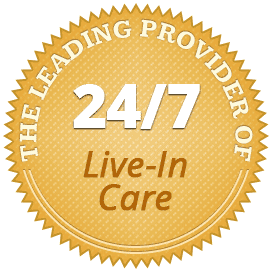 We provide comprehensive stroke, dementia, and Alzheimer’s in-home care in The Grand Strand to boost physical and emotional wellbeing. Let us help your loved one achieve the golden years he or she deserves.